This scrapbook from the 1970s contains documents and photographs relating to the initial organization and early activities of the Southwest Youth Athletic Association, Inc., a non-profit group in Shawnee County chartered in the fall of 1970 to operate the Ken Berry Baseball League. Its founders included five prominent Topekans: Francis E. "Beany" Conwell, Jerold Binkley, Frank Parkinson, Dr. W.W. Scamman, and Al Stallard. The Ken Berry League opened its first season of play in the summer of 1971, and has been a mainstay ever since in providing baseball and softball playing opportunities for youth in Shawnee County. Since the league's inception, the number of teams playing under its auspices has grown severalfold, reaching approximately 150 in the early 2010s. 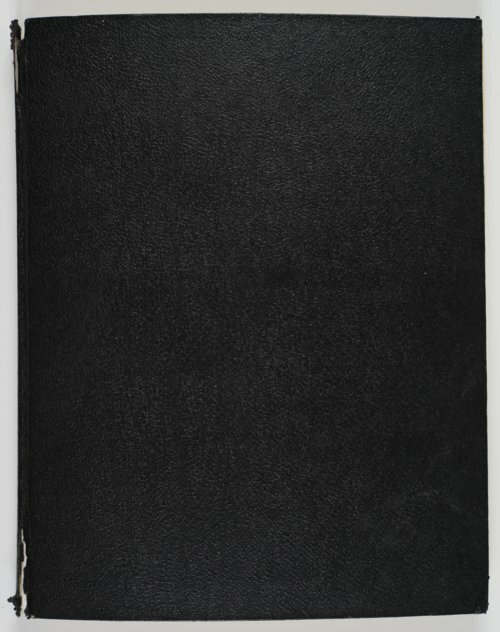 The scrapbook was compiled by Beany and Margaret Conwell. Its contents include items relating to construction of the league's complex near 61st and Wanamaker, promotional materials designed to enlist support, board meeting minutes, financial documents and league rules. Digital reproduction of the scrapbook was accomplished through a joint project sponsored by the Kansas Historical Society and the Shawnee County Baseball Hall of Fame.